Researchers from ETRI (Korea's Electronics and Telecommunications Research Institute) developed transparent graphene based electrodes specifically for OLED displays. The researchers say that current metal (mostly silver) based electrodes have a limited viewing angle because of their internal light reflection, and the external light reflection affects the image quality. Graphene electrodes are more transparent and reduce the reflectance by 40-60 percent. ETRI says that this technology will be especially suitable for transparent OLEDs and WOLED (WRGB) displays. 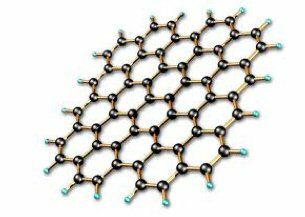 The scientists aim to continue this research and improve the graphene electrode performance. Transparent graphene-based electrode for OLED panels is not a new idea. The German Fraunhofer Institute is developing similar electrodes for OLED panels as part of the GLADIATOR project, and recently Graphene 3D Lab demonstrated a printed OLED lighting device with a graphene electrode. Plastic Logic (FlexEnable) demonstrated an E Ink display with graphene electrodes back in 2014, and the company is also working on an OLED panel using similar electrodes.